I know it’s supposed to be mundane, or tedious, or piling up so high that you don’t know if you’ll ever see the bottom of the basket again, but I actually have a fondness for doing laundry. This is, at least in part, because it’s a new chore for me. I didn’t do it much growing up, and DH was always so particular about how he wanted things washed that he did the laundry once we got married. Well, kind of. I guess I did most of the folding when it didn’t just sit around in baskets so long we didn’t know anymore if it was clean or dirty. . . .
We got a new washer and dryer this spring. They’re pretty. And I guess they were expensive. Our dryer died, and we only had to get a new dryer. And really we didn’t have to, because clothes will actually dry on their own after a while. But I wanted a matching set and we had hand-me-downs and, well, we expected we’d be buying a new washer and dryer at some point so it wasn’t so bad. I think DH will tell you all that it was well worth it though. I LOVE having them. And I do the laundry now. All of it. And quite efficiently (thanks FLY Lady!). Laundry is a part of my day. And it makes me feel so accomplished. We sort the clothes as we use them, so I don’t have to do that. I just grab a bag and take it to the washer and put it in. When the washer buzzes, it’s like a little moment for me to check my time. What have I been doing? Am I using my time efficiently? Should I stop what I’m doing now and do something else? Let me tell you, as a stay at home lady with a (kind of) job–I need those little reminders to keep my day on track. I move the clothes to the dryer and get another little check on my time when that beeps. I fold the clothes, and I put them away. No more piles of clean shirts mixing in, over time, with dirty underwear. Success! Laundry for me is a little note in my day that says, “You’ve done something useful with your time.” And I honestly love it. I know. I’m weird. I’m okay with that. Also, about laundry: I made the stand (yay! 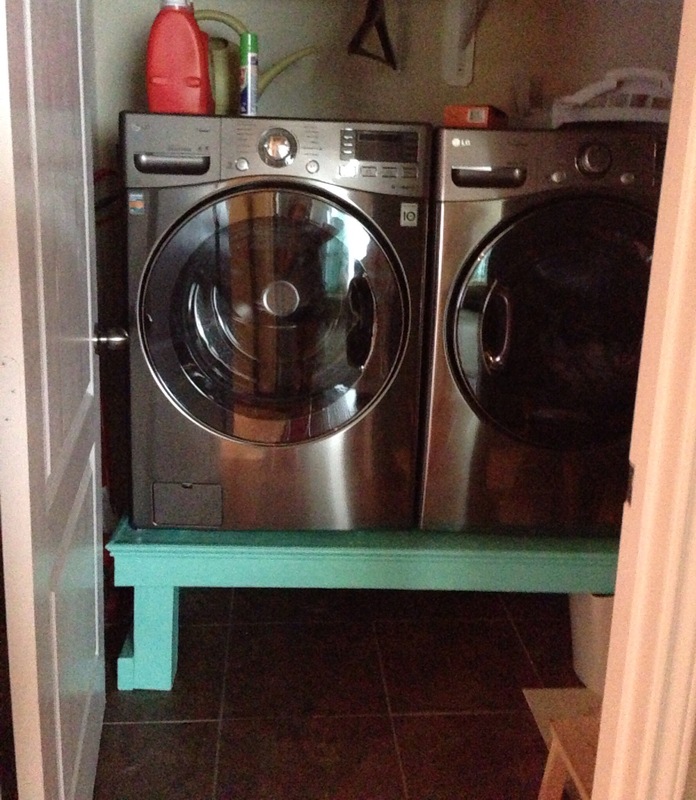 ), and I keep laundry baskets underneath it (I can post about how I did that if anyone is interested . . . but I’ve never really done that kind of post before). And, lately, I’ve actually been using a homemade laundry soap (no artificial colors, fragrances, dyes). I’ll share more on that later. Categories: Five Minute Friday | Tags: chores, five minute friday, fly lady, laundry, laundry baskets, lisa-jo baker, spin cycle, washer and dryer, washing | Permalink. I love your take on laundry, that you’ve “done something useful with your time.” There are days when it feels that’s ALL I accomplish. Even then, I suppose that’s something to be thankful for, right? Blessings! i’ve always said i like doing laundry and dishes … both never ending at my house… because they “do what they’re told and never talk back.” smile!